Since writing her first book, Your Best Life, in 2006 Domonique has gone on to write six more books that show readers how to get the life they way and love the life they’ve got. Her books are available in more than 25 countries. Domonique’s new inspirational journals Live More Everyday and Be Happy Everyday were released in January 2018. Isn’t it time you started treating yourself with the same love, kindness and respect you give the other important people in your life? The Daily Promise invites you to make small daily changes to the way you treat yourself – changes that will build your confidence, nurture your self-esteem and ultimately leave you with more energy to do what you want to do and be who you want to be. Based on the best-selling book The Kindness Pact and its Eight Promises, this collection of inspirational messages will leave you feeling happy about who you are and the life you live. Most people are terribly unkind to themselves. They make harsh judgements, engage in endless self-criticism and are unforgiving of even the smallest of failings … and then wonder why they don’t feel so great about themselves. The eight promises will show you how to be as kind to yourself as you are to the other important people in your life. When you keep the pact, you will build your confidence, nurture your self-esteem and have more energy to do what you want to do and be who you want to be. Trying to do it all, be it all and have it all is exhausting, but it has become normal to expect this from our lives. All too often people push themselves until they burn out, only to find that the things they struggled for were never that important. Less Is More shows you how to find more time and energy to enjoy the things that really do matter. By making small changes in the way you live, you can simplify your life, reduce your stress and improve your health and happiness. From the best-selling author of The Happiness Code comes a collection of inspirational quotes and ideas to help you transform your life into one you really want to be living. So many people are waiting to feel to feel happy. But the truth is, lasting happiness n ￼is something that you create, each and every day, through the simple choices you make. 100 Days Happier invites you to make small, daily changes in the way you think and act; changes that will ultimately create a fundamental shift in the life you are living. Based on bestselling book The Happiness Code and its Ten Keys, this collection of inspirational messages will inspire you to be the best you can be. Love Your Life shows you how to realise your dreams and achieve lasting happiness. Within these pages you will find 100 inspirational ideas and advice from Happiness Expert, Domonique Bertolucci, to motivate and support you on your way to living your best life. Combining famous quotes from international thought leaders and inspirational words from Domonique, which highlight ways to integrate these ideas to improve your life day by day, these simple yet powerful messages will make a difference to the way you feel about yourself and the life you wish to lead. CLICK HERE to start receiving Domonique’s Love Your Life – my weekly message of inspiration and encouragement, motivation and support. Unlock the secret to lifelong happiness and contentment! Have you ever wondered why happiness comes so easily to some people? Do you want to know how you can make sure it comes easily to you? Domonique Bertolucci believes that happiness begins with a choice, and enduring happiness is not a result of the things you’ve done, but the person you’ve chosen to be. The Happiness Code will teach you to take charge of your life and be happy with who you are. Using real-life examples to illustrate each key, Bertolucci’s lessons are crystal clear and instantly inspiring. When you apply these principles to your life, you can feel confident that you are being the best you can be. Start living your best life today! Have you ever wondered why life seems so easy for some people? They look confident and in control, have great jobs, happy relationships and get the best out of life. Why do they radiate success? How did they create such wonderful lives? And how can you create a dream life of your own? It’s simple… Know WHERE you want to be, know WHAT you need to do, and DO it! 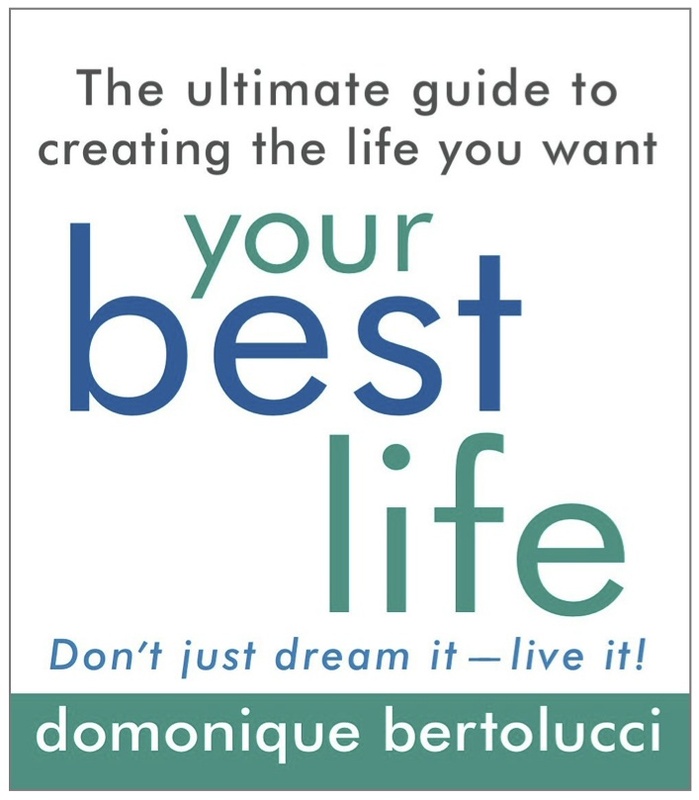 In Your Best Life, popular life coach Domonique Bertolucci shows how to bring these simple statements into being to create a detailed plan of action, build motivation and staying power and make the life you want. With easy-to-follow exercises and action plans, Domonique guides you to change the way you live, overcome obstacles and work through the tough times so you will live Your Best Life.